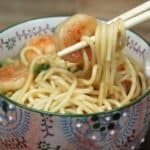 This Shrimp Lo Mein recipe is quick, easy and delicious, making it a perfect dinner for busy weeknights. We use prepackaged, steam-in-the bag broccoli and frozen, clean, easy-to- peel shrimp to make this meal even easier. No Lo Mein noodles on hand? No problem. Just grab a box of spaghetti from the pantry, they’re just as delicious. Enjoy! 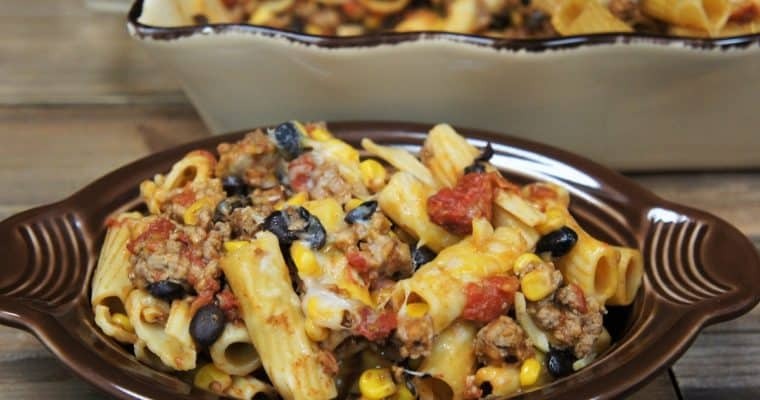 Need more quick, easy and delicious noodle recipes? 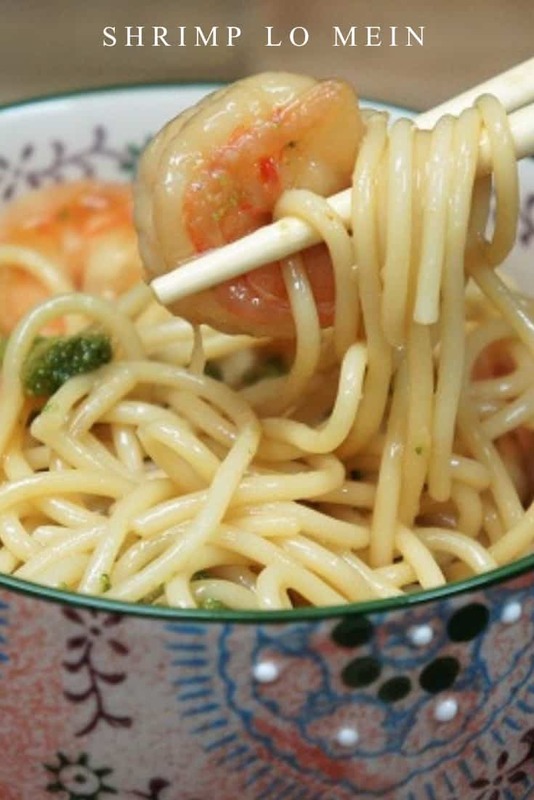 Try these: sesame noodles and shrimp & sesame noodles with shrimp. Clean and peel the shrimp, season with a pinch or two of salt, depending on taste. Bring a large pot of water to a boil add a tbsp. of salt and the Lo Mein noodles or spaghetti. Cook the noodles to package directions. Drain the noodles, cover and set aside. Cook’s Notes: We used spaghetti in this dish; we always keep a supply in the pantry. 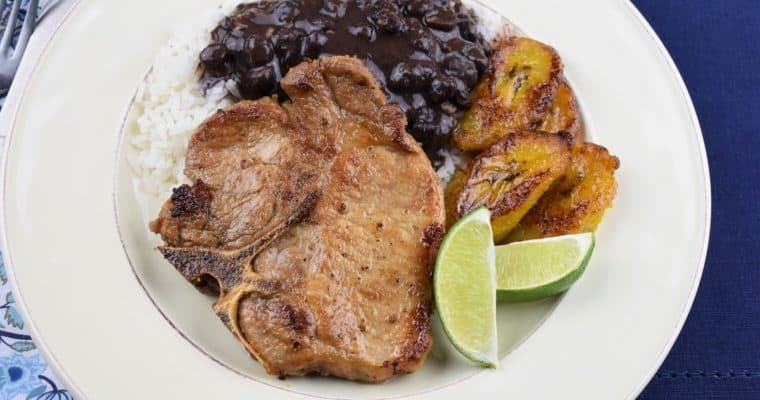 In a small bowl combine the chicken broth, corn starch, soy sauce, brown sugar, ginger powder, rice vinegar, garlic and crushed red pepper, if using. Mix well with a whisk or fork. Cook the broccoli to package directions, but use the lowest suggested time. You just want to get the broccoli going, they will continue cooking with the shrimp and sauce. If you’re using frozen, you basically just want to defrost them. Don’t overcook the broccoli so it holds up nicely in the sauce and doesn’t become mushy. Make sure to drain all of the water from the broccoli before adding it to the shrimp. Heat the canola oil in a large wok or large, deep, non-stick skillet over medium-high heat. Add the shrimp and cook for 3 minutes until they start to turn pink, stirring frequently. Add the broccoli to the skillet stir well to combine, add the prepared sauce, cook 3-5 minutes until the shrimp are cooked through, they should be opaque, pink and curled. Remove the pan from the heat so the broccoli and shrimp don’t continue cooking and serve over the noodles. Enjoy! If you’re still in the mood more easy seafood recipes try this delicious cod with tomatoes or this camarones al ajillo, which are a garlic shrimp appetizer. 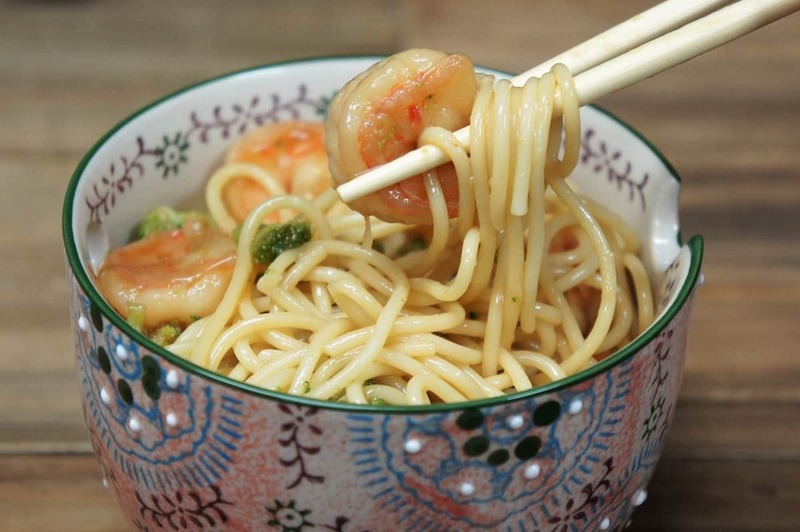 This Shrimp Lo Mein recipe is quick, easy and delicious, making it a perfect dinner for busy weeknights. Bring a large pot of water to a boil add 1 tbsp. of salt and the Lo Mein noodles or spaghetti. Cook the noodles to package directions. Drain the noodles, cover and set aside. Cook the broccoli to package directions, but use the lowest suggested time. You just want to get the broccoli going, they will continue cooking with the shrimp and sauce. Drain all of the water from the broccoli before adding it to the shrimp. Heat the oil in a large wok or large, deep, non-stick skillet over medium-high heat. Add the shrimp and cook for 3 minutes until they start to turn pink, stirring frequently. Add the broccoli to the skillet stir well to combine, add the prepared sauce, cook 3-5 minutes until the shrimp are cooked through. Serve the shrimp over the noodles.